Anti-reflective (AR) coating is an option to consider adding to your eyeglass lenses. The coating greatly reduces glare caused by light reflected off the lens. Because of this, AR coating both improves vision through the lens and allows others to see your eyes more easily through a clear, glare-free lens. AR coating works by altering the light that passes through the lens. To understand exactly what the coating does and how it works, we must first understand waves. Light waves, such as the one above, are most easily represented as having a sinusoidal shape. 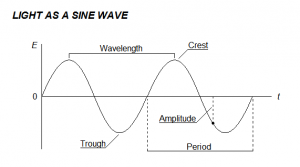 Sine waves have cycles that repeat continuously. The time (t) it takes to go through one cycle is the period. 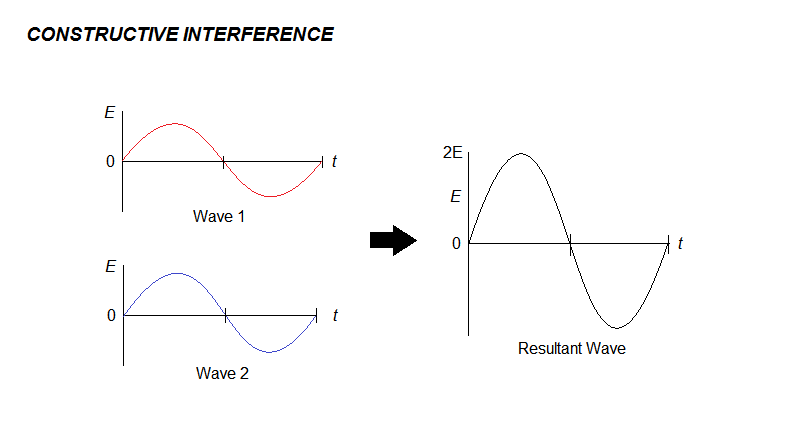 The distance between two reoccurring points in a wave is the wavelength. Wavelength is often measured between two crests (high point of the wave) or two troughs (lowest point of the wave). The amplitude (E) describes the strength of the electromagnetic field at a particular point along the wave. 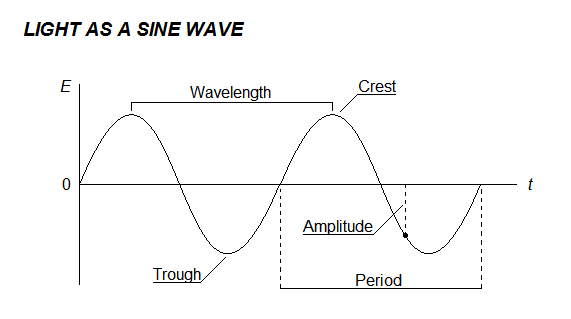 Related to and described in terms of wavelength is phase. Phase is, at any point in a wave cycle, the fraction of the total wavelength that has elapsed. 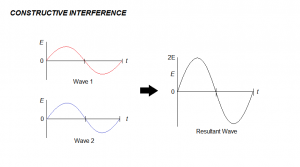 When comparing two identical waves we can describe a phase shift, or the difference in phase, between the two waves. When there is a difference in phase, the waves are said to be out of phase. On a graph, this simply looks like one wave is shifted horizontally to the side of the other. When there is no difference in phase, waves are said to be in phase. Below is an example of two identical waves that are one-quarter wavelength out of phase. The key to AR coating is phase and interference. Think of two waves traveling towards each other through the same medium. Both waves are identical. In our diagram above, the waves are in phase and meet at their crests. 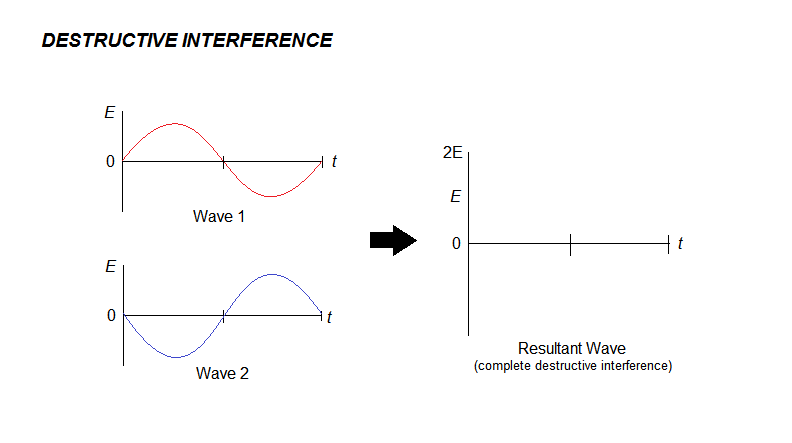 As a result, constructive interference occurs. The amplitude observed from these two colliding waves sees a positive net change, or in this case is twice the original amplitude. Depending on phase, two colliding waves of the same wavelength will produce a resultant wave that is either enhanced or diminished. AR coating utilizes phase to cause destructive interference. Light entering through the lens will encounter itself, now reflected and experiencing a phase shift due to the coating. The two waves, now out of phase, collide and effectively cancel each other out, eliminating any glare that would normally exist. It is in this way that AR coating both improves vision through the lens and makes it easier for others to see your eyes through the lens. So, we have now gone through the general science of how AR coating works. For our next post, we will examine the benefits of AR coating as it pertains to everyone who wears glasses, but especially how it is crucial for babies and children with eyeglasses. For further information on the mathematics and physics behind AR coating, visit HyperPhysics. 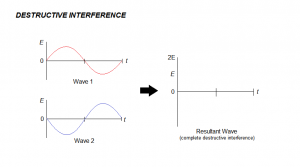 For more information on wave interference, visit the Physics Classroom. As always, feel free to contact GoSmartEyewear if you have any questions or concerns. This entry was posted in Other and tagged Anti-reflective Coating on November 25, 2014 by admin.